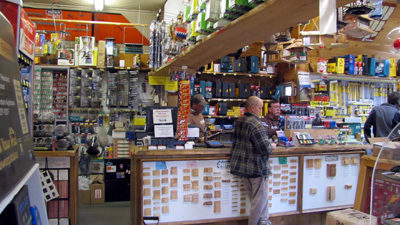 Village Hardware - Located in Idyllwild on the corner of North Circle and Hwy 243. Call us 951-659-4457 or order online. The area’s most complete assortment of Glass Doors, Sparkguards, Fire Screens, Toolsets, Wood Holders, Bellows, Blow Pokes, Firewood & Kindling Holders and more. We are experts on Fireplace Venting and Code Compliance. Moths can ravage your Pantry and Closets. We’ve got all the products you need to trap and deter them. Protect your food and clothing! Check our online store for more specials! Call us or come in and ask about our specials!